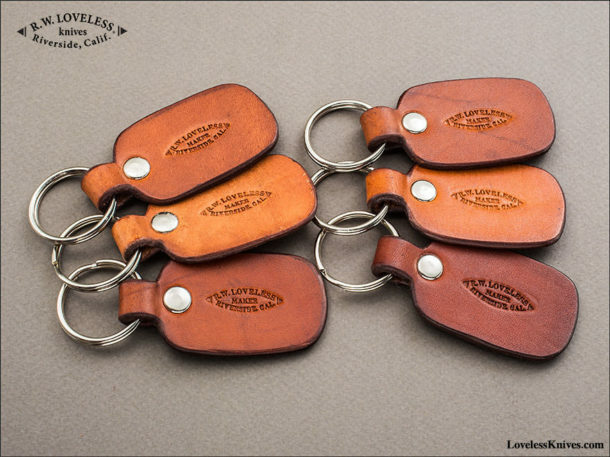 We make our Loveless Leather Key Fobs from the same heavy 8 – 9 ounce cowhide shoulder leather that we make our sheaths from. They are hand cut, wet formed and hand stamped with the iconic Loveless Football Logo. 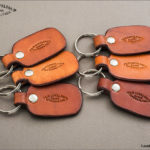 After thorough drying, each key fob is dipped in our own blend of waterproofing & preserving oil and then a 1 inch split ring is hand riveted onto the key fob.